Thanksgiving is nearly upon us. It’s a wonderful time of year to share terrific foods and gather with family and friends. But the holiday season can also bring its fair share of stresses. Traveling to your destination, getting that pumpkin pie just right, and even quality family time can weigh heavily on all of us. If you’re starting to feel a bit of the holiday stress be sure to take some time out for yourself to relax and recuperate. That may not be an easy task especially as everyone starts to gather for the festivities. 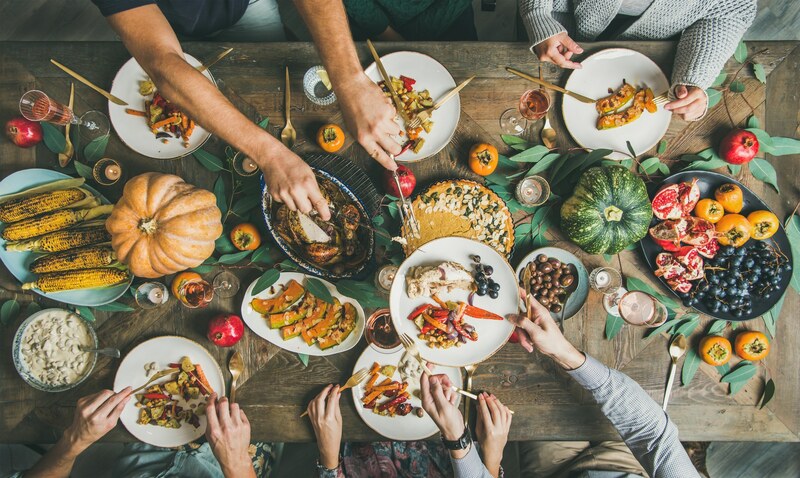 We have some great suggestions in our article The Lighter Side of Thanksgiving that may help to alleviate some of the building pressure. Plus, there are some helpful recommendations on how to eat healthy and keep the whole family active and having fun during the holiday! If you need a quick cheat sheet on keeping the stress levels low check out our 5 tips below. Me time – Schedule some time just for you. Maybe first thing in the morning or after the feast, take some time away from the hustle and bustle. Walk it out – Walker Tracker will always recommend taking a walk but it is also proven that a 10-15 minute walk can quickly elevate your mood. Take a deep breath – Deep breathing can calm the nerves in all of us. Give some of these recommended breathing exercises a try. Reach for the sky – Stretching is a great tension reliever. Here are 10 yoga poses to help you relax. Dance it out – Select some relaxing background tunes for your party or if you need a bigger release pick a private space and dance out your worries (a little Pat Benatar never hurt anyone). We hope you all have a wonderful and relaxing Thanksgiving! Be sure to share the stress relievers you rely on below.